Recently recalled Super Eagles Coach, Stephen Okechukwu Keshi is leaving nothing to chance as the country faces a tough challenge of qualifying for the 2015 Nations cup. Keshi who was returned as National coach after the intervention of President Goodluck Jonathan sprang into action immediately by releasing a list of 25 players for the country's remaining two matches. 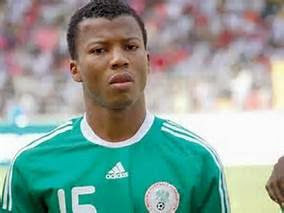 A surprise call-up was however handed to Spanish based out of favor striker Ike Uche who is returning to the squad after a two year hiatus. Skipper and goalkeeper Vincent Enyeama leads the team which also include; Austine Ejide, Agbim, defenders; Godfrey Oboabona and Elderson Echiejile, midfielders; Ogenyi Onazi and Mikel Obi, and forwards Ahmed Musa, Emmanuel Emenike and Babatunde Michael are also invited. All the players are expected to report at the Bolton White Apartments, Wuse, Abuja on Sunday, 9 November ahead of the last two matches between Sudan and South Africa.